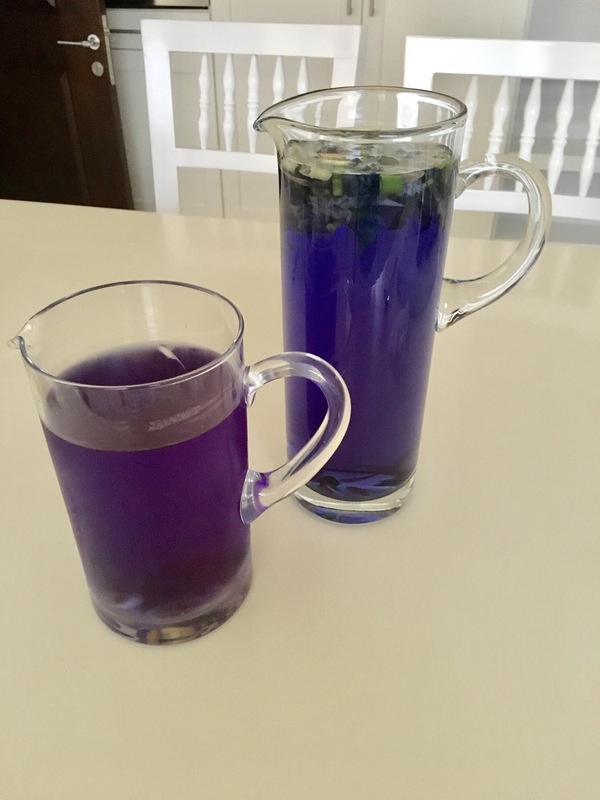 While traveling in Thailand I discovered this wonderful blue sapphire tea called butterfly pea tea. It is not just a pretty color but also very good for ones health and well being. 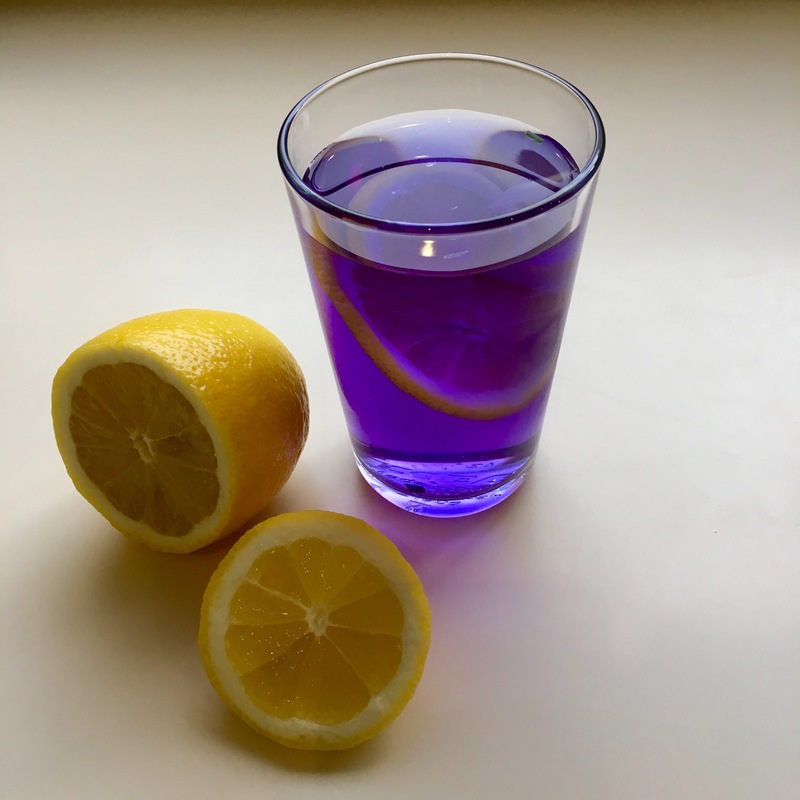 The blue Chai tea turns into a rich purple color when a lemon wedge is added. 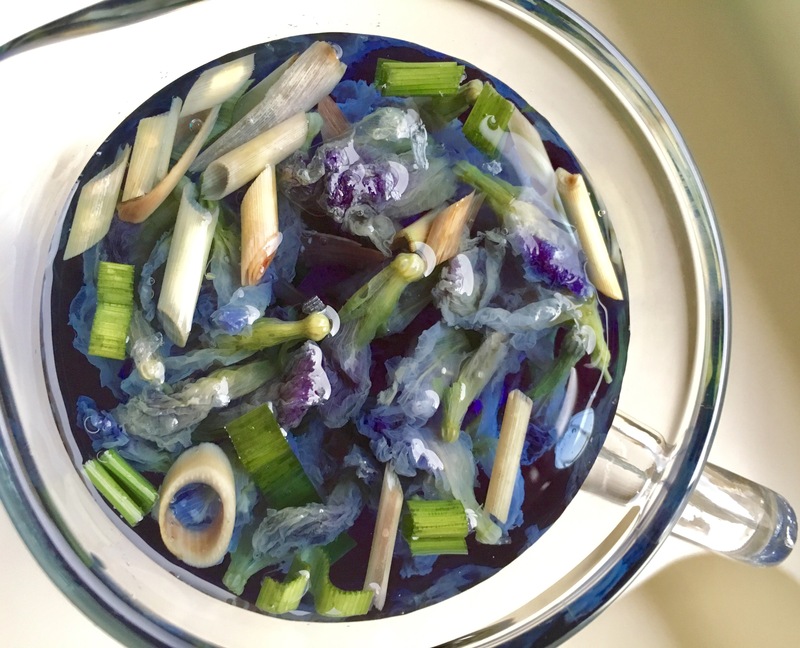 Blue Butterfly Pea is an ancient Thai herbal plant. Its flower has three different colors white, blue, and purple. Not only beautiful, Butterfly Pea first gained its reputation as a powerful hair strengthener in the traditional Thai medicine. leaves, flowers, seeds, and roots are all used as medicinal herbs. According to Thai culture & folklore, butterfly pea flowers are squeezed to make Anchan tea, and as a coloring forThai desserts in blue and purple colors. It also provides anthocyanin to improve eyesight, treat opthalmitis and eye infections, nourish hair, provide antioxidants and boost body immunity. Many health & beauty products are derived from this flower because of the positive effects of the flavanoid, Quercetin has on skin & hair. The hot or cold tea is extremely thirst quenching and relaxing. This entry was posted in Free Spirit by Shireen. Bookmark the permalink.